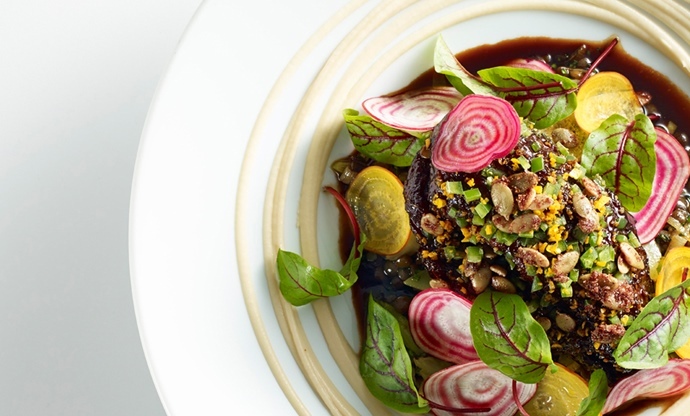 Canada’s restaurant scene is one of the most vibrant and diverse around. With chefs taking inspiration from across the globe with world-class ingredients at their fingertips, intrepid foodies are spoilt for choice. We take a look at five restaurants that are propelling the country’s cuisine to dizzying new heights. Incredible landscapes, famously friendly people, a relaxed way of life – there are plenty of reasons to visit Canada. But more and more of us are making the trip there to sample the food on offer. The country’s cuisine has evolved massively over the past few decades, with fine dining and casual restaurants alike making the most of incredible seafood, foraged ingredients and international influences thanks to Canada’s famously multicultural society. 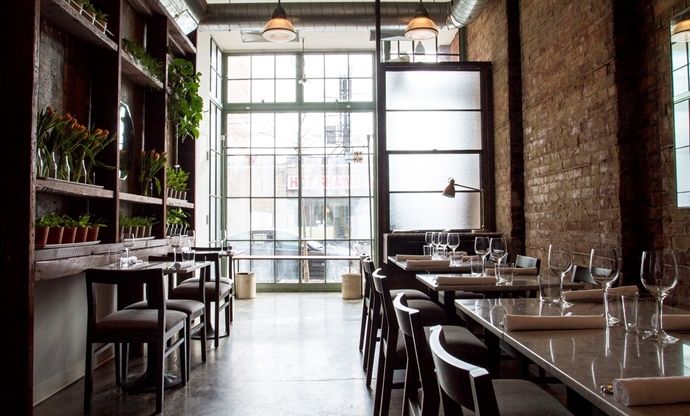 There are countless restaurants, cafés and bars dotted all over Canada that are worth paying a visit to, but we’ve chosen five that we think truly represent modern Canadian cuisine. If you’re planning a visit or just want to see what’s on offer in the country’s dining rooms, take a look at some of the stunning restaurants below. With less than fifty covers this small, unassuming restaurant in Toronto’s Queen West area might look like your average neighbourhood hangout, but the countless awards and status as the sixth best restaurant in Canada makes it a must-visit in the city. The chef, Jason Carter, is revered as one of the country’s greatest chefs, earning his stripes with some of Canada’s culinary legends before venturing out on his own to open Dandylion. The short, affordable, frequently changing menu puts vegetables in the spotlight, with meat and fish playing second fiddle to greens. Asian and European influences are fused together with finesse and the relaxed, casual atmosphere does away with the formalities that sometimes accompany fine dining. It’s the perfect place to get a taste of Canada’s modern food scene, and sample dishes cooked by one of it’s most respected chefs. With a CV including some of the UK’s best Michelin-starred restaurants such as Le Manoir aux Quat’ Saisons and The Square, David Hawksworth returned to his hometown of Vancouver to open his eponymous restaurant in 2011. Ever since, he has been winning awards, wowing diners and creating some of the city’s most beautiful and delicious dishes. 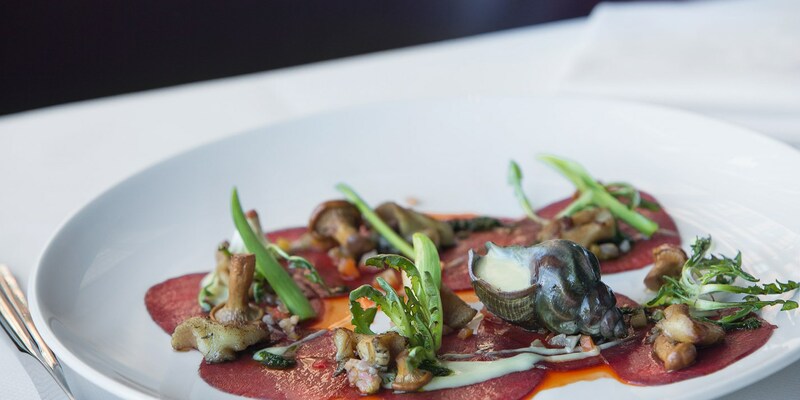 Hawksworth is fine dining at its finest, with dishes such as Vietnamese lemongrass sturgeon, roasted bison striploin and Nova Scotia lobster on the menu. The four dining rooms each have their own personality, with an Art Deco-inspired Pearl Room and the more contemporary Art Room offering plenty to look at. It’s no surprise that it’s listed as number three on the Canada’s 100 Best Restaurants list – the sophisticated menu, beautiful interiors and skill of the head chef has turned Hawksworth into something legendary. 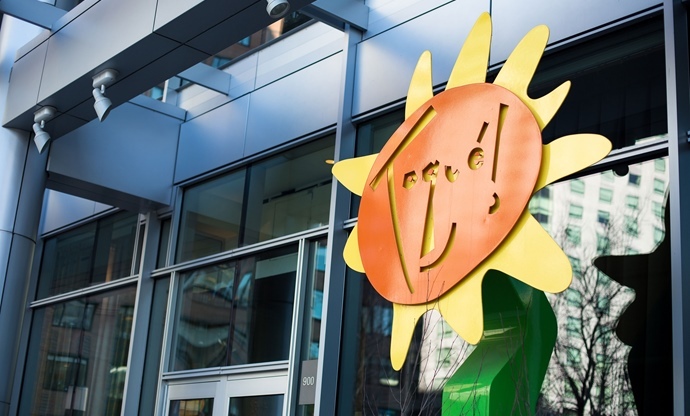 Relying on which ingredients are available at the local market each day, Le H4C has been a Québécois stalwart ever since it opened its doors in 2013. With the mission of making haute cuisine as accessible and inviting as possible, head chef Danny Bolduc uses local ingredients such as snow crab, Québec halibut and fiddleheads (young fern fronds) to create truly inspirational food. 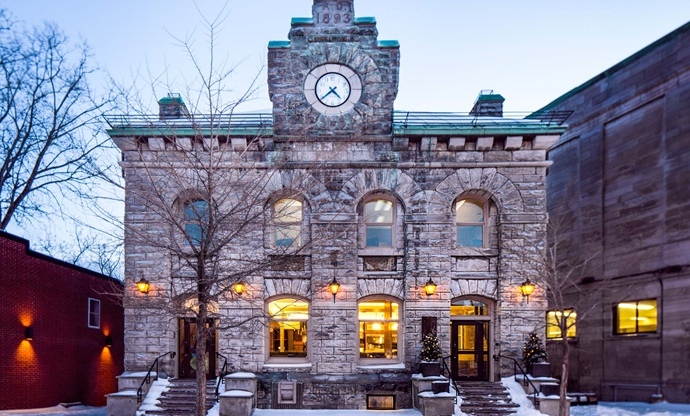 The restaurant itself is situated in the Saint-Henri area of Montréal and is housed inside an old bank, with the vault converted into a wine cellar with real wow factor. Le H4C is particularly popular for its brunches, which include homemade jams, beignets and pancakes, but the dinner service is a true testament to just how innovative Canada’s food scene has become. 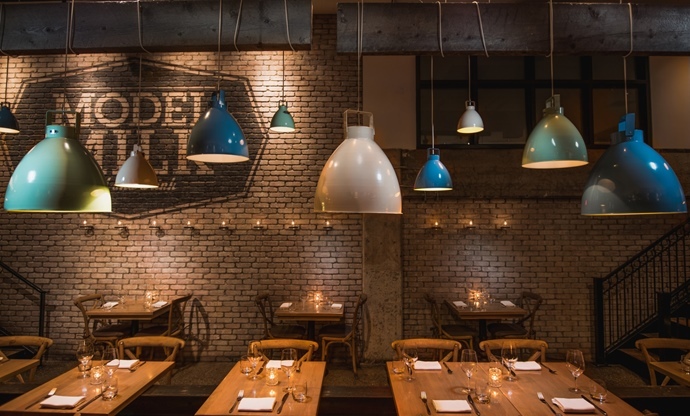 Oozing with trendiness, Model Milk ticks all the style boxes with its stunning industrial interior (even the white wines are kept chilled in a reclaimed bathtub filled with ice), but it’s the food whipped up by head chef Justin Leboe that keeps the tables fully booked. A perfect representation of Canada’s multicultural society, the menu takes inspiration from all over the world, serving up wild sockeye ceviche alongside veal sweetbreads and falafels with green hummus. Justin Leboe is one of Alberta’s shining culinary stars and previously worked at Thomas Keller’s legendary The French Laundry, but has moved away from the world of fine dining to offer small plates made with the country’s finest ingredients. The dairy-turned-restaurant is now an ode to Canada’s incredible produce, serving vibrant dishes that prove the chef is one to watch. With roots going back to 1993, Toqué! is arguably Montréal’s most famous restaurant. Many of Québec’s finest chefs gained vital experience in its kitchens, and the ethos and approach to cooking has been lauded for two decades. This is thanks to head chef Normand Laprise, whose market-driven menu changes daily and celebrates the incredible ingredients found throughout Québec. The French cuisine served at Toqué! is reimagined in a fun, unpretentious way, with unusual flavour combinations such as venison with sea snails and sea buckthorn with white chocolate. The incredible skill of the chef combined with a quirky, colourful interior, exceptional ingredients and expertly curated wine list has led to the restaurant being named as the best in all of Canada. Ask the locals where to go for a life-changing meal, and they’ll probably point you towards Toqué!’s doors.